How Best To Prevent Tonsil Stones? Tonsil stones form when particles and microorganisms become lodged in the crevices of your tonsils. Most tonsil stones are about the size of a small pencil eraser, although some doctors have reported treating patients with stones that are over an inch wide. 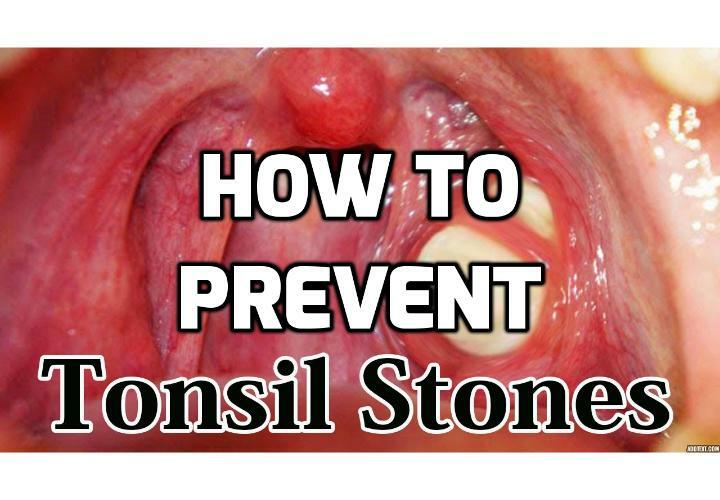 Although several prevention strategies have been suggested for this condition, you can only fully prevent tonsil stones by the surgical removal of both tonsils. Tonsil stones, also known as tonsilloliths, are the result of debris becoming trapped in the tonsillar crypts. As this debris accumulates over time, it attracts bacteria and white blood cells, which create small, calcified lumps on the surface of the tonsils. The surgical removal of both tonsils is the only way to prevent tonsil stones definitively. This procedure is medically referred to as a tonsillectomy and involves the complete removal of the tonsillar tissue. Without the tonsils as a potential host, tonsil stones are unable to form. Tonsillectomies are performed under general anaesthesia, and patients who choose to undergo this procedure have a recovery time of up to several weeks. For most patients, however, surgery is unnecessary, as large and troublesome tonsil stones are uncommon. Although removing tonsil stones is possible, you can also take precautions to prevent tonsil stones from forming. The most effective non-surgical methods to prevent tonsil stones involve keeping your mouth and throat clean, as this reduces the amount of particles and pathogens that may accumulate in the throat and lead to tonsil-stone development. Brushing your teeth, flossing regularly, and gargling with an antimicrobial mouthwash are excellent ways to ensure that your mouth and tonsils are protected from food particles and other debris. Additionally, it is important to treat any underlying condition that may be contributing to your risk of tonsil stones. Individuals who suffer from chronic post-nasal drip are often prone to experiencing tonsil stones; as a result, treating this condition and cleansing your nasal passages regularly can promote healthy mucus drainage and minimize your risk of tonsil stones. If you are concerned about your risk of developing tonsil stones, see your doctor or an ear, nose, and throat specialist. He or she can conduct a physical examination of your throat, mouth, and neck to determine the best methods to prevent tonsil stones for you.